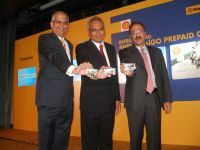 Kuala Lumpur, 31 October 2014 – An innovative new form cashless payment mode was launched today with the introduction of the Shell easiGO American Express prepaid card issued by Maybank. In addition to being cashless, it comes with a host of unique features, exclusive deals and rewards. Kuala Lumpur, 30 October 2014 – The testing of AMT for commercial vehicles in the US trucking industry will being in the next few months and it is part of a research project supported by United States Department of Energy’s (DOE) Office of Vehicle Technology. Kuala Lumpur, 23 October 2014 – Sime Darby Auto Connexion (SDAC) the distributor for Ford announced the return of the annual promotion ‘Big Deal’. 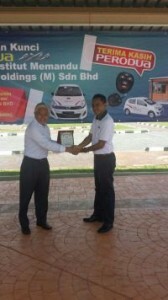 Kuala Terengganu, 14 October 2014 – A fleet of 11 Axia units were delivered to Arinah Holdings (M) Sdn Bhd, a driving school in Terengganu. This is part of the total fleet order of 22 units. Bangkok, 7 October 2014 – A forum titled ‘Pushing up falling sales for commercial vehicles’ was organized recently as a lead-up to the Bus & Truck’14 exposition scheduled to be held from 6 – 8 November 2014. Shah Alam, 2 October 2014 – The winner of Volvo Trucks Malaysia’s Fuelwatch Challenge 2014, Ahmad Bin Othman of Logistik Petikemas Sdn Bhd, Prai, represented Malaysia at the Volvo Trucks Asia Pacific and World Fuelwatch Championship 2014 held in Gothenburg on 16 to 19 September recently.